Creating Affluence (eBook) - Amber-Allen Publishing, Inc. In this remarkable book lies the secret to creating unlimited wealth. 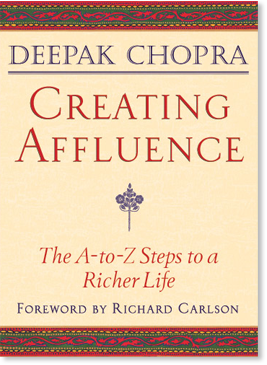 With clear and simple wisdom, Deepak Chopra explores the full meaning of wealth consciousness and presents a step-by-step plan for creating affluence and fulfillment on all levels of our lives.